Lincoln Property Company’s Desert West Region provides a full spectrum of real estate services in Arizona, Nevada, Utah and New Mexico. 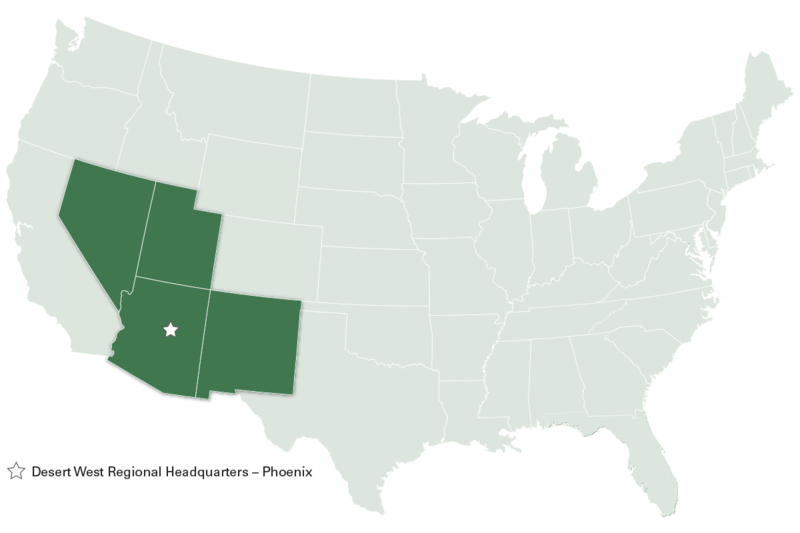 Based in Phoenix, Arizona, the Desert West office specializes in office, industrial and retail investment, development and property management. Together, our team of experts manage over 10 million square feet, has acquired in excess of 4.4 million square feet and has developed or is in the process of developing approximately 4.5 million square feet of commercial product.